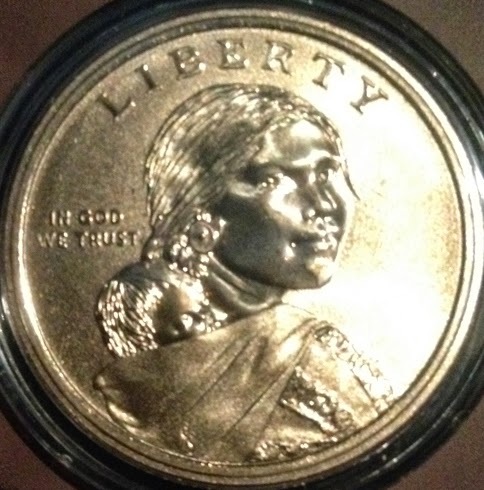 As Lou Golino explained at a recent column, the 2014 Native American Coin and Currency Set contained a small surprise for collectors: the Sacagawea dollar has the same "Enhanced Uncirculated" finish as the 2014-S Kennedy in the 50th Anniversary set and the 2013-S enhanced uncirculated American Silver eagle. This has caused a bit of a rush with collectors and eBay prices have jumped to $30 or so (issue price from the mint was $13.95). However, in hand the effect is far less dramatic than it is on the Kennedy half. That's probably due to the color and the smaller size rather than any production difference. As to the set itself, baffling is the only word that comes to mind. Why a crisp 2013 dollar bill is included is confusing both as to the date and its absence of relevance. 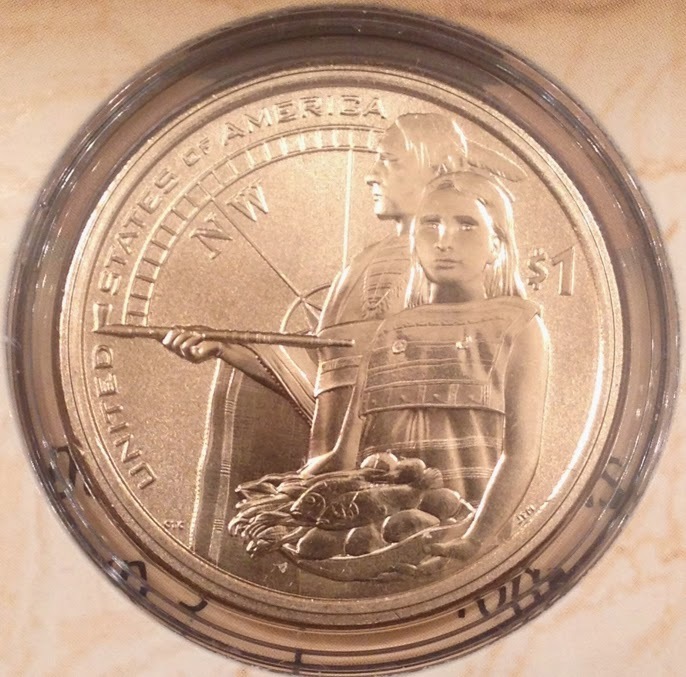 More disturbing is the literature enclosed, which "Honors Native American hospitality that ensured the success of the Lewis and Clark Expedition", according to the Mint. If someone would like to explain to me how the Lewis and Clark expedition helped Native Americans, I'm all ears. The honoring of Native American history by commemorating the first stage of the expansion that would strip them of their land, their dignity and their way of life is really a head shaker.